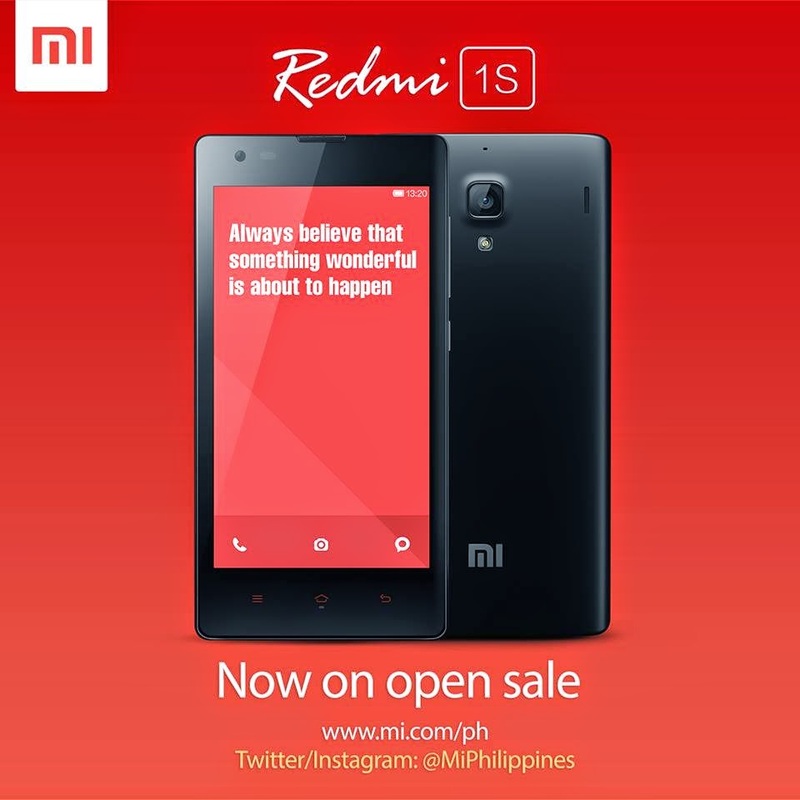 Mi Philippines recently posted an ad banner of the Redmi 1S on its Facebook page stating this android smartphone is now open sale. The Xiaomi Redmi 1S is equipped with powered by 1.6GHz processor alongside 8-megapixel rear camera paired with 1.6-megapixel front camera. It has memory of 8GB internal storage, 1GB RAM, 4.70 touch display and 2000 battery capacity (mAh). Get Mi for yourself and for your loved ones smile emoticon Be the very first to buy from today's open sale and win a limited edition cover for your new Redmi 1S!